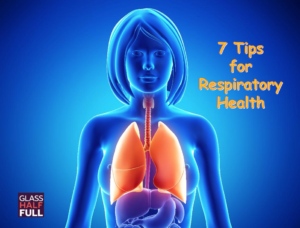 Every Breath You Take: Tips for Respiratory Health – Glass Half Full with Leslie Krongold, Ed.D. But this list is only a list. You should listen to the podcast. There are many online videos to guide you in a practice combining breath work and movement but here’s one from the Niroga Institute for people with asthma. Listen to previous podcast episodes about everything from medical cannabis to mindfulness meditation as well as fermentation. Soon there will be cool videos here. Check out this documentary film, Unrest. It’s a “story of love and loss” about people diagnosed with myalgic encephalomyelitis (commonly known as chronic fatigue syndrome).